The great South African novel? An old acquaintance barely seen since primary school days, in a chance meeting recently complained that our country had yet to produce “the great South African novel”. With the 2013 Mail and Guardian Literary Festival a few short hours away, his observation was an attractive alternative to the small talk gnawing for attention at the corners of our conversation. Appalled and mystified in equal degrees at the valid line of enquiry, I asked him what he meant by the “great South African novel”? He fired off a series of answers whose sum total escapes the memory of a mind that was blind with excitement at the prospect of three days immersed in South Africa’s finest literary offerings. The great novel, as Dickens, or perhaps Jane Austen’s Pride and Prejudice, was to the British? There was sense of this in my acquaintance’s response. Nigerian-born literary scholar, Aghogho Akpome, in a panel discussion chaired by South African Nobel Laureate Nadine Gordimer about Chinua Achebe’s Man of the People, made a remark along these lines. On the second day of the festival in an airy under-construction Market Theatre, he recalled that his English-teacher father would refuse to engage him in literary conversation until he had read Pride and Prejudice. Our reading culture as Africans, and the canons which we instinctively reference, are inherently Western. A moot point Akpome acknowledged. What the University of the Free State research associate was getting at however, was that there did not exist one African story or one way of telling it that was more valid than another, and that its formation could take any number of trajectories. Gordimer herself could be said to have penned at least one the great South African novels. My acquaintance hazarded JM Coetzee or Antjie Krug as possibilities only to immediately reject them, saying the latter author was “too self-flagellating”. I thought of suggesting Njabulo Ndebele’s Fools or any works from the Sophiatown school of writers. But after factoring in a few racial, proudly South African variables, and sensing that he was thinking of something more contemporary and light-hearted, I eventually suggested Chris van Wyk’s memoir Shirley, Goodness and Mercy. He had not read it but said he would. One might have also suggested the book by Gordimer and Akpome’s fellow panellist, Imraan Coovadia’s remarkable Institute of Taxi Poetry, which is about as South African as it gets. 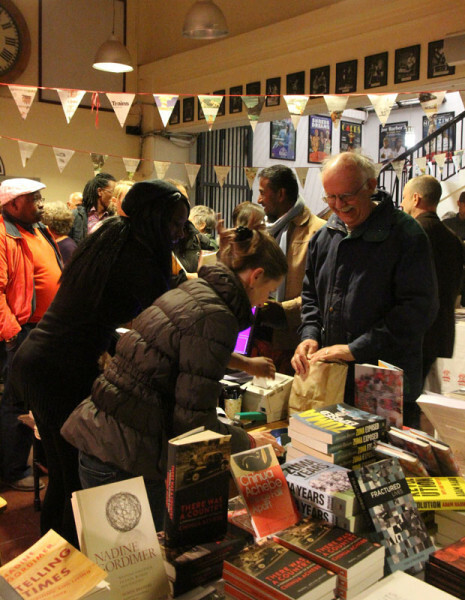 The many possibilities created by the thought of “the great South African novel” beget an inevitable question, one that seemed a preoccupation of the festival as a whole if the theme, Chinua Achebe’s children: Africa’s suspended revolutions, is given due consideration. What is the nature of the relationship between literature and society in societies on the brink of, or newly emergent from, revolution? Chinua Achebe, the organisers seem to have been saying, had already written the great African novels. His choice as the spiritual conduit through which these questions and that of the continent’s “suspended revolutions” would be explored, then, set the scene for a confrontation: A joyful exorcism and harrowing incantation of the complexities of the times we live in. “[T]he fourth annual M&G Literary Festival aims to foster robust debate about political, social and literary revolution,” according to books editor at the Mail and Guardian Darryl Accone. 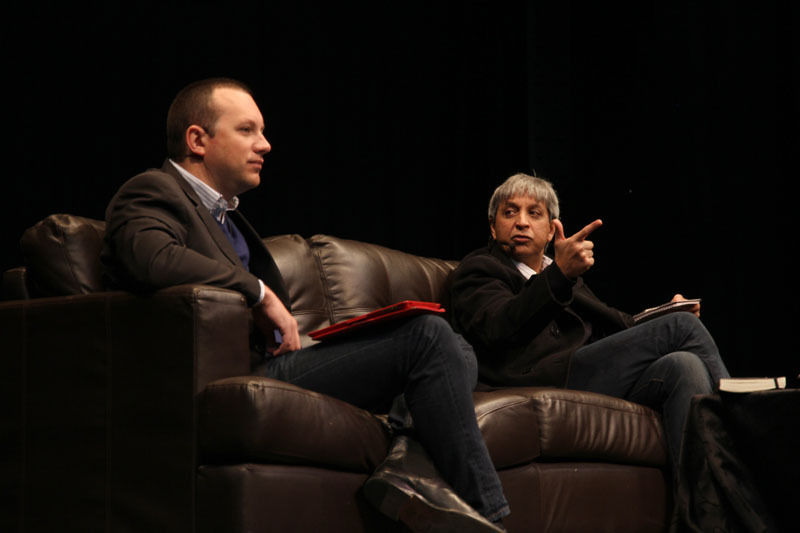 And the festival kicked-off on that urgent note with the presentation of newly installed Vice-Chancellor of the University of Witwatersrand Professor Adam Habib’s new book, South Africa’s Suspended Revoultion: Hopes and Prospects. In it, Habib suggests that “it is not the foibles or wisdom of our leaders” that will ultimately determine a prosperous future for the country. He advises rather, that it is imagination and commitment from the political elites and ordinary citizens that will forge a path to transformed society. A score of other great South African publications and their authors were engaged on these and similar questions, with Achebe’s scorn for African leaders who have hijacked and short-circuited Africa’s revolutions as omniscient guide. The great South African novel? 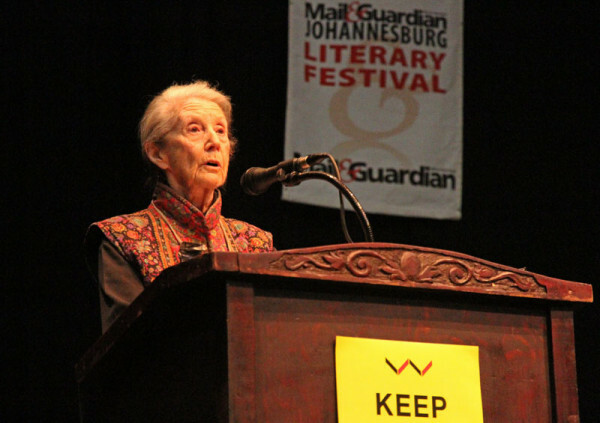 Nadine Gordimer guessed the character of its author when she quoted Albert Camus: “The day I am no more than just a writer, no longer will I be a writer”.